This comfortable lodge safari is a great option for those wanting to relax in the African Bush. This malaria free safari is popular with couples and families. 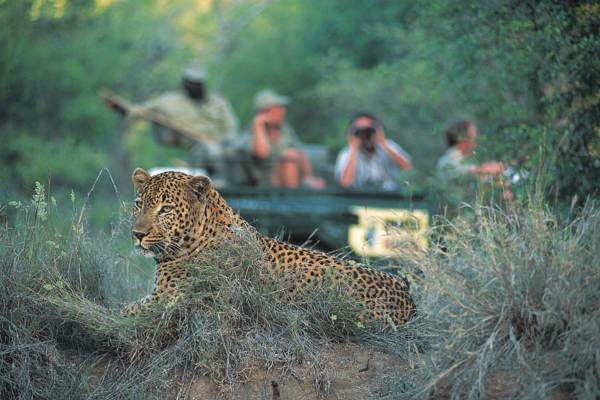 Our Premier Pilanesberg Safari – Accommodation in a luxurious 4 star Lodge . Pick up from most hotels in Johannesburg, Pretoria an airport area at +- 9am. 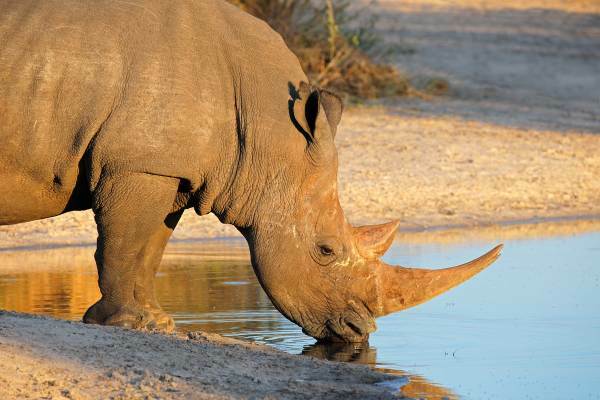 A 2 hour drive takes us North West towards Pilanesberg – a big 5 National Park that covers 500 square kilometers. This unique National Park is encircled by 4 rings of hills. Geologically fascinating alkaline complex which is the largest in the world and the habitat of Africa’s most famous wildlife. We drive to Bakubang Lodge where a hearty lunch awaits us. After lunch guests are invited to relax around the pool or on the view deck which provides panoramic views of the landscape around. Your rooms will be ready between 2-3 pm for check in. 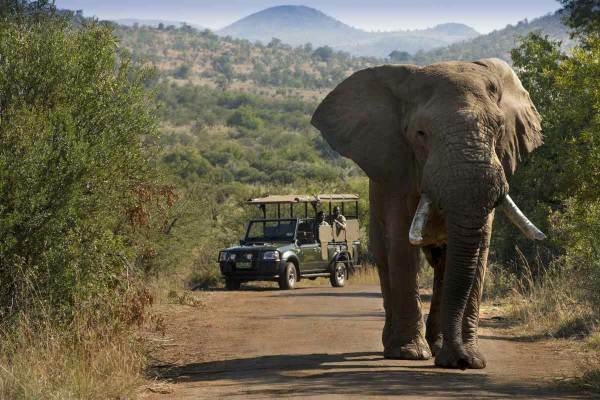 In the late afternoon your first exiting open vehicle game drive will begin.This park has great year-round sightings of Lions, Elephants, giraffes, Buffaloes, Rhino and many other species of wildlife. Pending on the season and light conditions this will start between 3.30amd 4.30pm. A thrilling game drive with an open elevated view. We hope to see much of the wildlife that moves around at this time when it is cooler. As the sun goes down your guide will bring out spot lights to look for nocturnal animals. You might be lucky to see lions on the hunt. Return to lodge for a stunning breakfast. After which you have time to relax by the swimming pool or take advantage of the Hotels’ spa. Lunch will be served on the terrace. During the middle part of the day the bush is to hot and not much wildlife moves around. We also take advantage of this time to relax. The second game drive will start between 3.30pm and 4.40 pm. This game drive will gain take us past sunset. Now is our chance to see many of the animals that have eluded us in the previous game drives. Every moment in nature is different so keep your cameras ready with plenty of film. Return once again from the Afternoon/sunset drive to a wonderful dinner served by the lodge. After breakfast and morning game drive guests have time to freshen up before checking out at 11am. After check out, you have the choice of transferring straight back to your hotel in Pretoria / Johannesburg or the Airport pending your flights times. We expect to arrive back in Johannesburg between 1.30pm to 2pm. Or alternatively we offer clients the option of spending the remaining part of the day with a visit to Sun City (Own Cost). Please make sure to communicate your choice on booking so we can make sure the logistics work.